I don’t really get homesick when overseas. However, I have to admit that there are bouts of loneliness and inexplicable sadness. And I will open up even further, that it happened to me recently. That’s why a visit by my close cousins’ family and my younger brother, was precious. Their first visit has long been planned, well, booked at least. It wasn’t until a week before that I got the confirmation that their visas were approved and they’re all good to go! They arranged private tours, which was quite nice to experience in the cold months. Speaking of the cold weather, I gave them enough warning to get ready for it – and good thing they prepared. One thing great about their visit is that, I was able to go to places that I wouldn’t have gone to anytime soon. On this week, I joined the tour for two days, and saw two new sites. 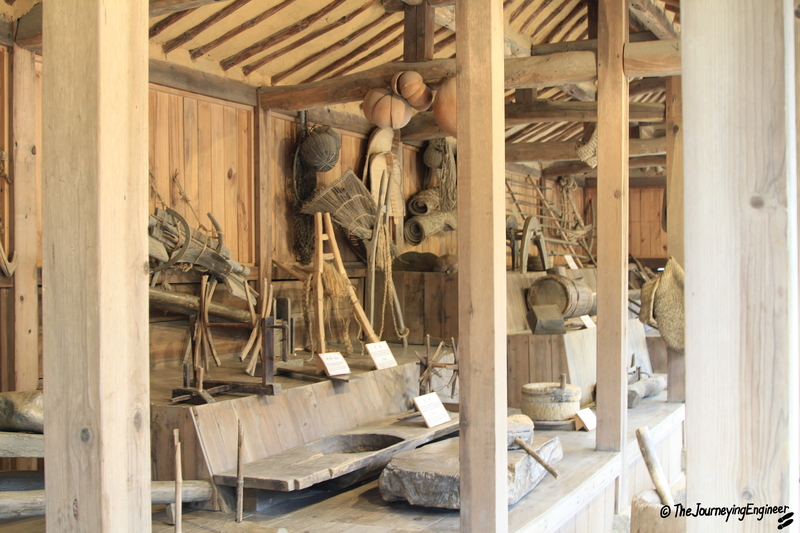 This village doesn’t only showcase traditional houses, work tools, etc. 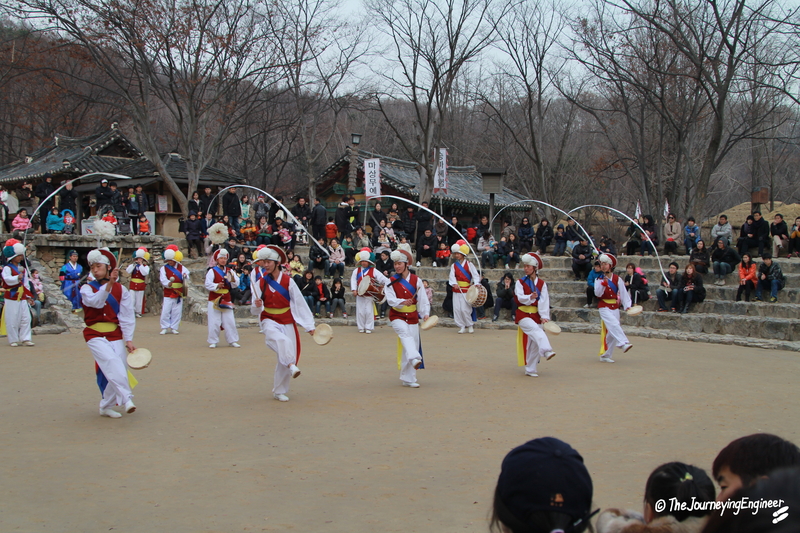 There are shows held in the afternoon as well. 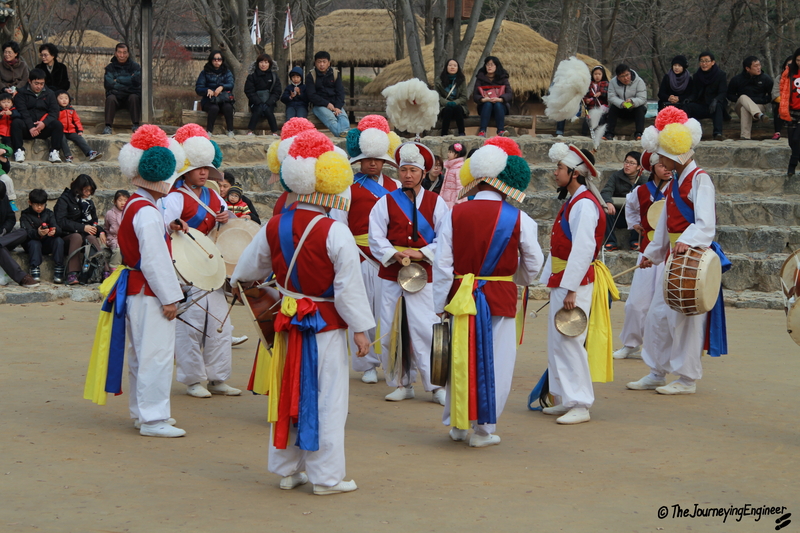 We chanced upon the farmers’ group dance. 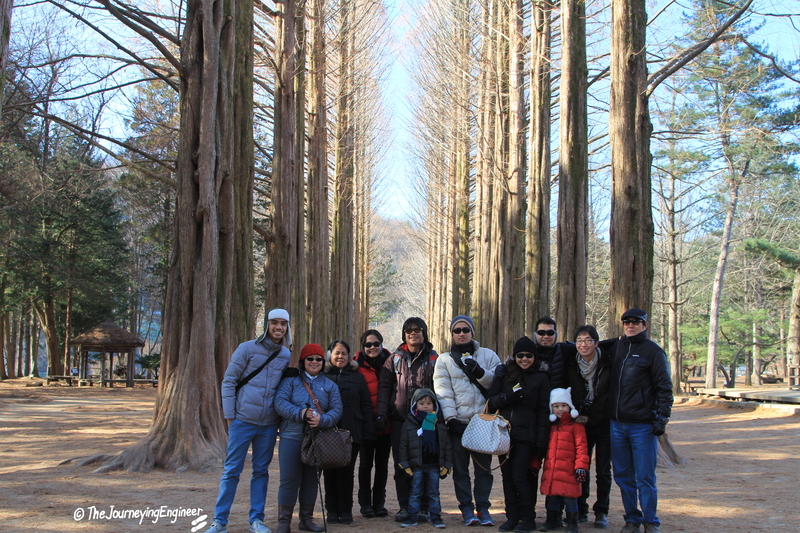 We went to Nami Island on their last tour day, and afterwards, headed to Petite France. The latter is something I didn’t expect to exist in Korea. Back too soon, well why not?! 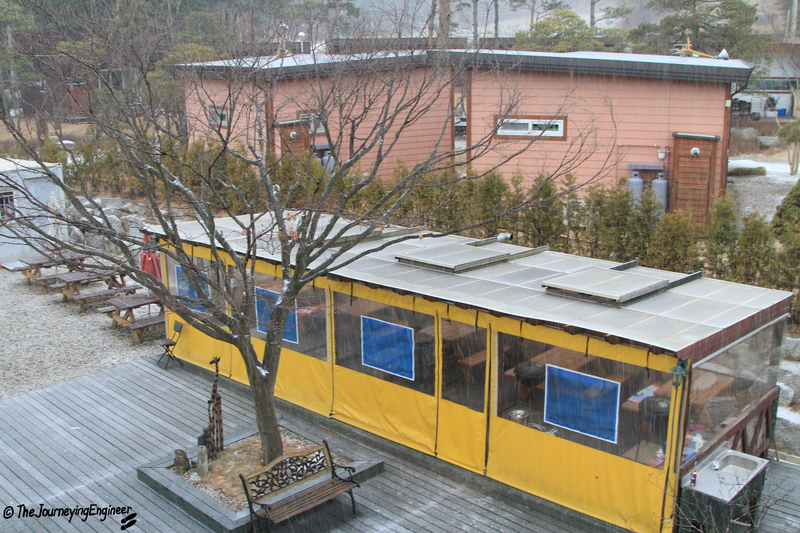 Less than a week after they went home, it snowed heavily in Seoul. I took a picture, uploaded it on Facebook, added a description saying, “What you missed in Seoul” and tagged all of them. My cousin was so determined to experience snow that on that very day she booked all of them once again for a flight to Korea. 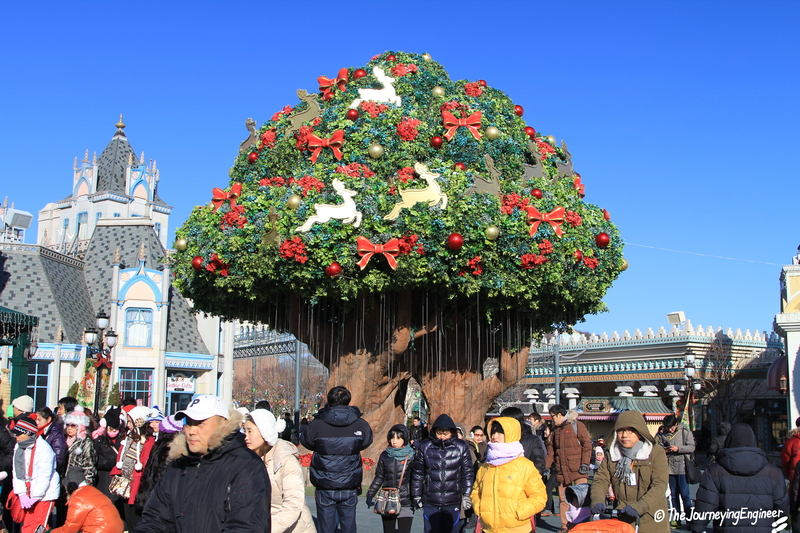 It was great because she chose the week when Christmas will be. So apart from seeing new places again, their visit meant I get to spend Christmas in full spirit. 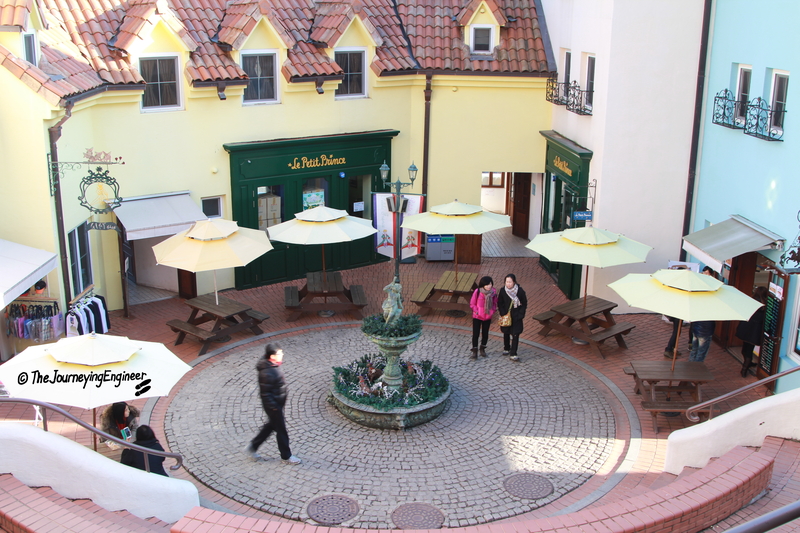 This time, as there were holidays, I was able to join them for five days! I only had three days of work and they booked a hotel very near my office. So, I packed for a week’s worth and stayed with them at the hotel. 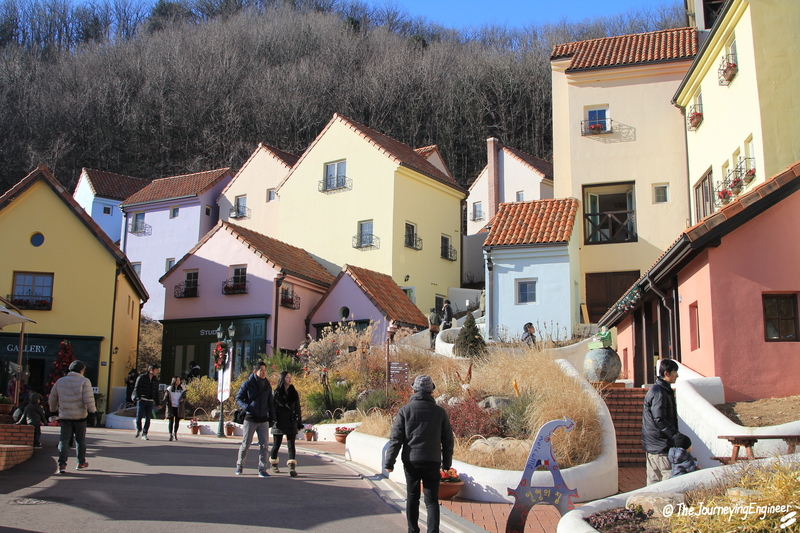 On Christmas eve, we had dinner in Provence, which is located just outside Seoul. My cousin requested the travel agent to take us some place where we can feel Christmas – Provence offered that. 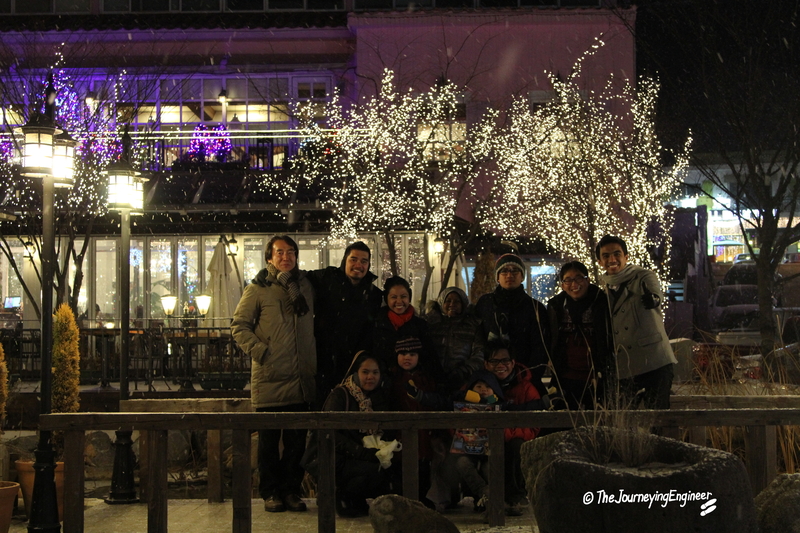 And just after finishing dinner, snow started falling. Perfect timing. So they got what they wished for: a White Christmas. 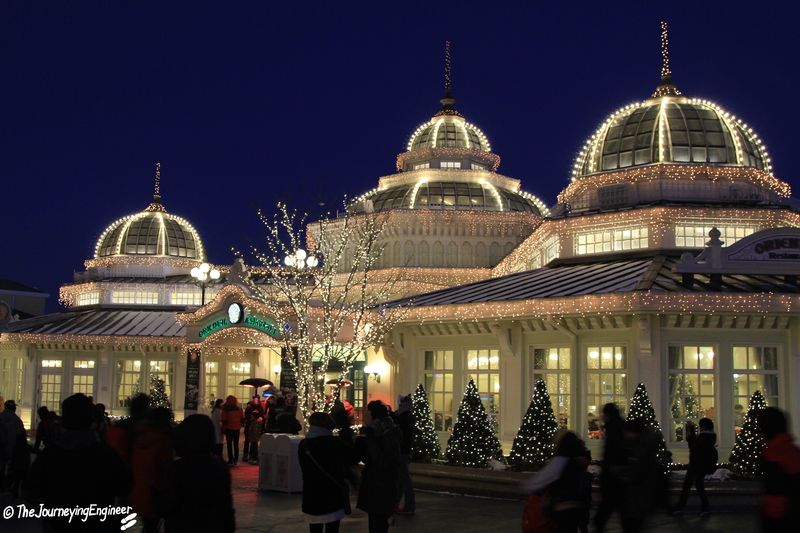 On Christmas day, we went to Everland Resort (my first, their second). I’m not really fond of theme parks these days. But yeah, I was able to go to this one, finally. I had to work two more days after Christmas and consequently miss their tours. 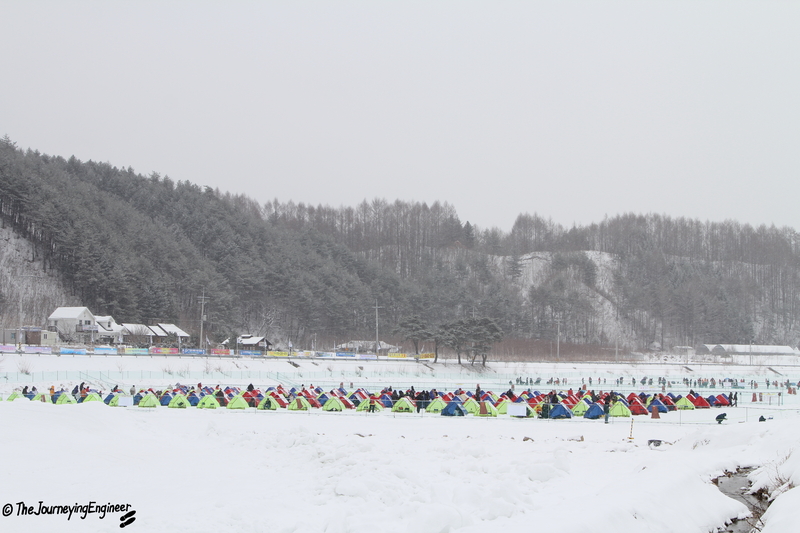 One thing I really missed was their trip to Seoraksan (Seorak Mountain) on the 27th. 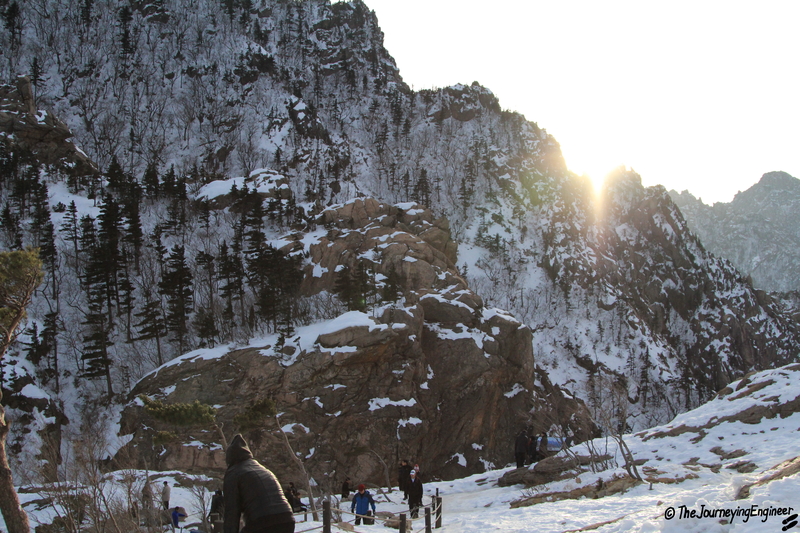 Seorak Mountain, photo taken by my brother. Too bad I had to work and miss this. Instead of going back to the hotel in Seoul, they headed to a lodging house in Gangneung to save time for the itinerary on the next day. I followed them as soon as I was done with the last work day of 2012. That’s where all the fishing action happened. And this is the side we chose. 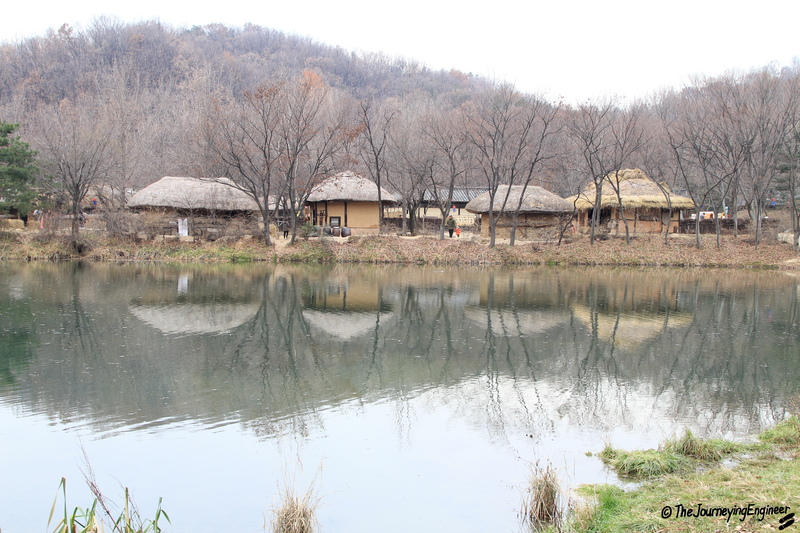 We stayed another night at the country house for our next destination was also outside of Seoul. 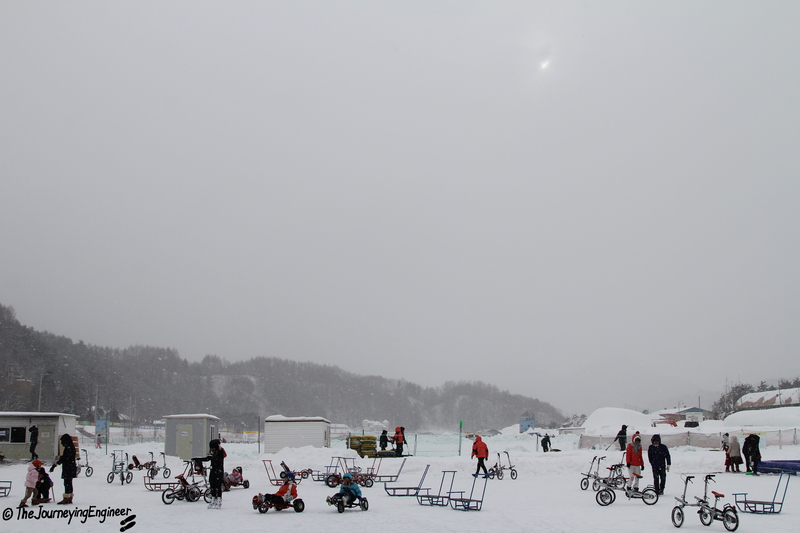 That destination is Jisan Ski Resort. It still took us a long time to get there. And because we started the day late, the time left for my brother, cousin and I to go snowboarding was very limited. We had only one try down an easy slope. Their last day was spent shopping around Myeongdong. They left for the Philippines in the evening, sigh. Traveling with the family is different. The pace for one thing, is much slower. But the joy in spending time with them in a foreign country, something I don’t experience often, overshadows the dead time that my travel friends wouldn’t have allowed. Here’s hoping for a next time, with my side of the family complete.